While some may think that award-winning photos are simply snapshots created at the right place and right time, there’s often a huge amount of time, effort, and dedication that goes into the process. For Mexican photographer Sergio Tapiro, it was over 15 years and over 300,000 photos. Tapiro’s photo of an erupting volcano illuminated by a lightning bolt, titled “The Power of Nature,” won prizes at the prestigious World Press Photo and National Geographic Travel photo competitions in 2016 and 2017. Tapiro was certainly lucky to have snapped a photo at that exact moment, but he was also extremely prepared. He had been photographing Volcán de Colima for 15 years. Volcán de Colima in 2002. Photo by Sergio Tapiro. Volcán de Colima in 2008. Photo by Sergio Tapiro. Volcán de Colima in 2010. Photo by Sergio Tapiro. Volcán de Colima in 2013. Photo by Sergio Tapiro. “It’s a bit of luck and a lot of preparation,” Tapiro told Wired. When the volcano erupted on December 13th, 2015, Tapiro was ready. He had already noticed the unusual activity three days prior and had set up camp 7-8 miles away, watching and waiting for an eruption and photo opportunity. 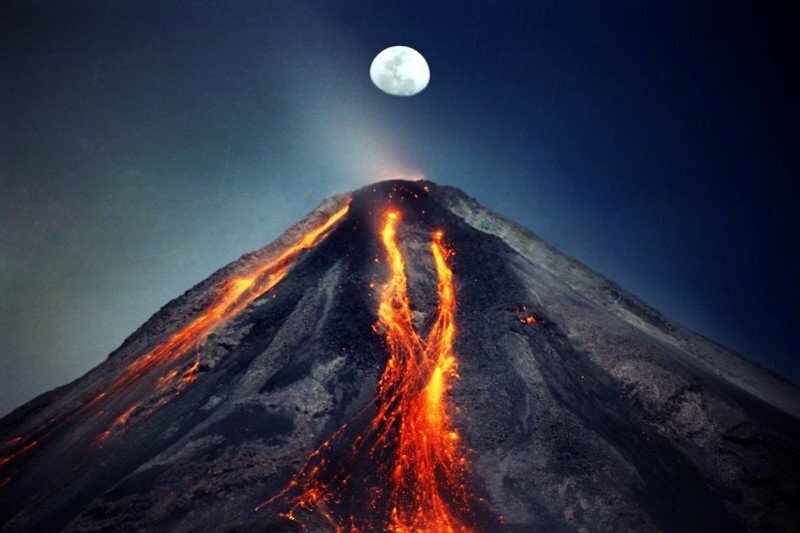 Finally, at 11 pm on December 13th, Colima noticed signs of an eruption starting, so he began shooting 8-second exposures with his Canon 6D and 70-200mm lens on a tripod. Then suddenly, during one of the exposures, there was a lightning strike. When he began reviewing the photos and came to the one with the lightning, he was shocked by how perfectly he had captured the bolt and how much it illuminated the entire scene. “Sergio has focused his lens on the volcano for 15 years, and his masterful concentration is apparent in the beautiful image of the erupting volcano,” says Nat Geo contest judge and senior photo editor Molly Roberts. Apple Takes On Netflix, Amazon With $1 Billion Investment For Original Shows: Video Streaming Service Coming Soon?